Students will analyze aspects of the data using simple math, graphing and critical thinking. Key terms and concepts will be highlighted and explained more fully in the following section or the margin. The authors will feature global, national and regional issues, but will also show students how to retrieve and use information to address critical local issues like population growth and development, air and water pollution, land use and waste disposal. 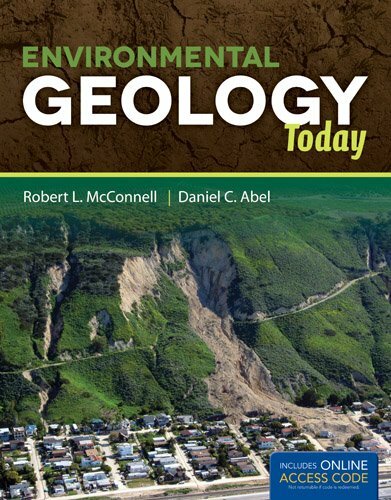 Case studies will be drawn from current events that students will be familiar with and thus interested in these examples, as opposed to the more classic case studies that appear in the competing environmental geology texts. Math will be introduced in a non-threatening, step-by-step manner. This will allow students to catch their own errors early in the process, thereby gradually building confidence in their own mathematical abilities. This will make non-science or early-science students more comfortable with using mathematical formulas that are pivotal to understanding environmental issues"--Provided by publisher.